With the blessing of Our Lord Jesus Christ, Fr. 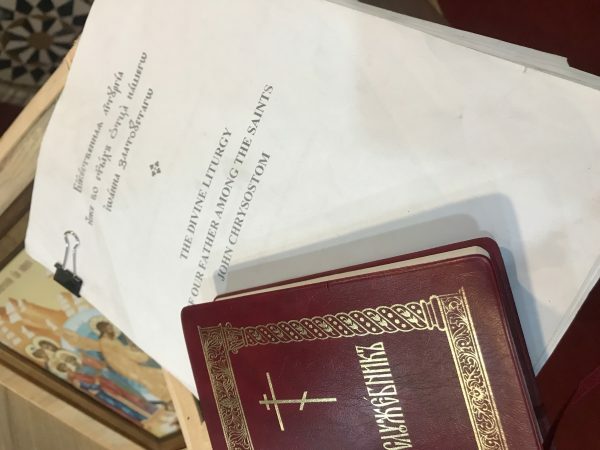 Paul Sushil, priest of the Russian Orthodox Church in Pakistan (Moscow Patriarchate), would like to share that they have completed the First translation of Divine Liturgy according to St. John Chrysostom into native Language URDU . This book has been translated from Church Slavonic and English texts. It is the first most accurate translation which took about 2 years to complete. The texts that were available before were translated by Google translator. After complete research Fr. Paul and people who helped him came to the decision that the previous books lacked theology and thus, had no essence. Therefore, it was decided to make a new, more accurate translation. Before beginning his translation, Fr. Paul graduated from the Tomsk Theological Seminary in 2017. 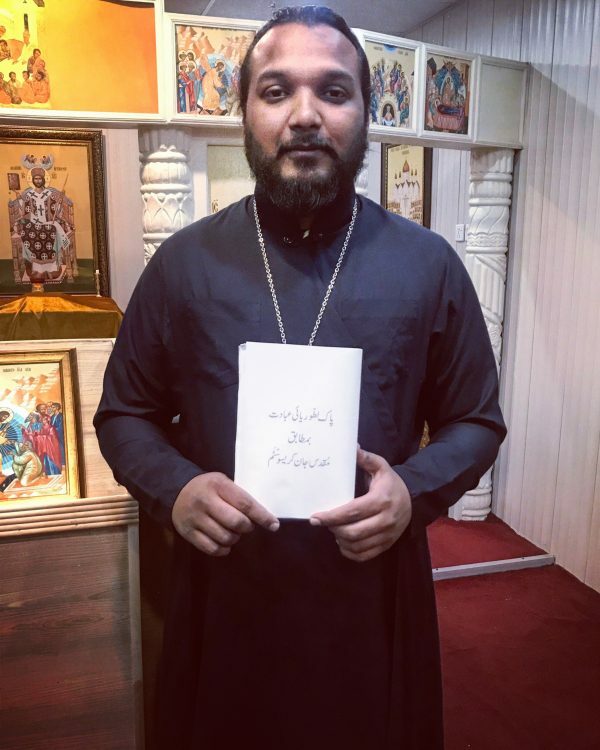 Currently, there are two parishes of the Moscow Patriarchate in Pakistan: in Islamabad and Lahore. Fr. Paul is the only priest there. The translated book was proofread by a theology teacher and Urdu experts as well. The book will soon be printed and available to people. Translated by: Fr. Paul Sushil and Matushka (presbytera) Elizabeth.